You know what? My decision last March not to set any reading lists was actually one of the best decisions I’ve ever made in my reading this year. It was actually so nice not to worry about what I will read, or if I will finish anything that I set myself to read. 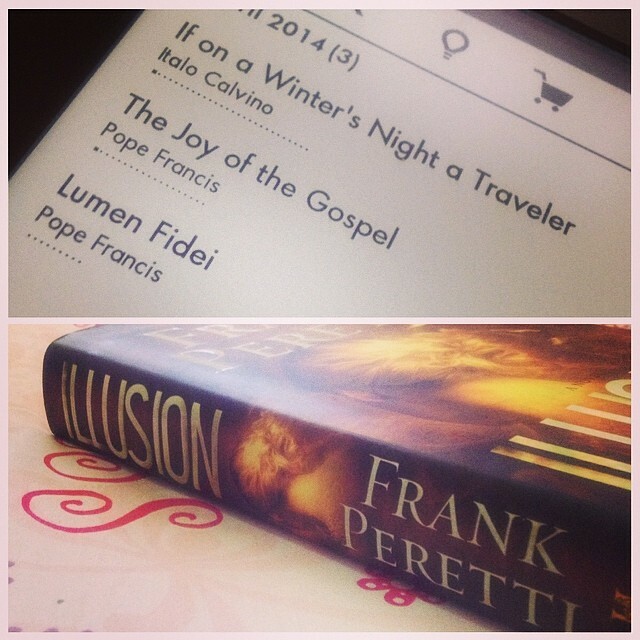 I picked up whatever book I wanted and read at my own pace. That was definitely refreshing. 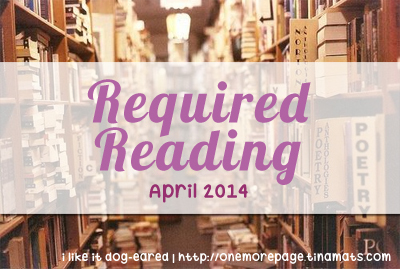 The Reece Malcolm List by Amy Spalding (3/5) – Fun contemporary YA, with theater and musicals and a writer mom. Too Good To Be True by Kristan Higgins (4/5) – Heee so much fun and swoon! You can never go wrong with a Kristan Higgins. Cathedral by Raymond Carver (3/5) – Finally finished this! I wasn’t as in love with this as I was with What We Talk About When We Talk About Love, but I really liked the longer version of Bath, entitled “A Small Good Thing”, here. Lost Lake by Sarah Addison Allen (3/5) – Still magical and still lovely. I want to go and be lost in Lost Lake, too. 33 Days to Morning Glory by Fr. Michael Gaitley (5/5) – This is a retreat book, so I started this on February and ended on March 25, the Solemnity of the Annunciation. Definitely life-changing. To Jesus, through Mary. Used to think I was cute. what feels like a million years ago. Just goes to show how little people know. Even I was surprised by me. hoping to see exactly where I went wrong. Mary Rudine, called Mister by almost everyone, has attended church and sung in the choir for as long as she can remember. But then she meets Trey. His long lashes and smooth words make her question what she knows is right, and one mistake leaves her hiding a growing secret. Another Mary is preparing for her upcoming wedding and has done everything according to Jewish law. So when an angel appears one night and tells her that she—a virgin—will give birth, Mary can’t help but feel confused, and soon finds herself struggling with the greatest blessing the world will ever know. Feeling abandoned, Mister is drawn to Mary’s story, and together both young women discover the depth of God’s love and the mysteries of his divine plan. decided that I am not a poet, and while I appreciate some poems every now and then, I would really rather read prose. I can’t really remember why I joined the Goodreads contest for A Girl Named Mister by Nikki Grimes. I think I was too excited to join giveaways then, and I was just clicking on “enter” whenever I see it’s a genre or an author or even a publisher I’d like. I’m not always lucky with giveaways, so color me surprised when I found out I won this book. I got kind of hesitant when I found out that this was a novel in verse, but a free book is still a free book. Of course, the book was sent to my dad (and it kind of took forever to get there), and I wasn’t able to get it until he stopped over in the country last weekend before heading to China for a company event. 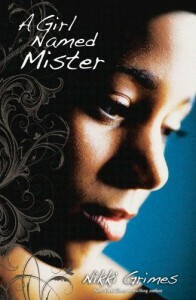 A Girl Named Mister is a novel in verse about a 14-year-old girl named Mary Rudine, nicknamed “Mister” for her initials. She’s your typical Christian teenager who grew up in church: she’s a part of the choir, her best friends were from church and she believes in preserving her purity for marriage. Then she meets Trey, whose beautiful eyelashes captured her heart and eventually everything she has. As Mister struggles with her secret guilt and its seed, another Mary’s story plays out. This teenage Mary has always been a good Jewish girl, and she was soon to be wed to Joseph. When an angel appears before her and tells her she would be a virgin mother, her world is turned upside down (and it’s not just because she would need to find baby clothes). Mister finds solace in this Mary, and as she gets to know more about her namesake, she finds out just how deep God’s love and how big God’s plans can be. I breezed through this book in a night. Being written in verse, it was a quick and easy read, almost like I was reading some kind of Psalm. However, the issues it tackled weren’t really easy. The story is as real as it can be, and I know it is happening to other teenage girls everywhere in the world. The good thing about this novel is how the author juxtaposed Mister’s story with Mary’s story. It was kind of hard to fathom at first how Mister, who bore the weight of her sin with her literally, could relate to Mary the mother of Jesus, whose pregnancy was divinely ordained. I liked how the author showed that even if Mister sinned, He still had a purpose for her and she is not a lost cause. It’s easy to put God in a box and think that He cannot do anything about us when we do something bad. But as I’ve learned — not only in this book but in real life — His ways are higher than our ways, and He is bigger than whatever sin we can ever commit in this life. No matter how big the guilt is, His grace is still bigger and stronger and more powerful than that. A Girl Named Mister is a quick but not exactly an easy read. It made me cry and sigh, but in the end it made me smile as I, with Mister, realize the power of God’s forgiveness, the grace of second chances and the depth of His love. :) Highly recommended. The Unconsecrated make a comeback, but this time they are known as Mudo, and the story is told in the eyes of Gabry, Mary’s daughter. Gabry has lived a safe and sheltered life, behind the barriers of Vista, and she’d like to keep it that way. She lived with her mother at the light house, helping her mom decapitate Mudo whenever some of wash ashore from the incoming tide. She knew her mother was not a local, and she was stranger than what the other people in the village, but she was used to it, being that her mother was from The Forest of Hands and Teeth. Gabry wasn’t one to question anything in her life — as long as she’s safe and her family and friends are, too, she’s okay. But one night, she tagged along with some of her friends and the boy she likes to go outside of the barrier — and it was the mistake that changed Gabry’s life forever. In an instant, she saw her friends turn into zombies, and the guy she loves, Catcher, runs away into the forest after having been bitten. Gabry manages to run back to the safety of her own home, but not without repercussions of her actions. The Dead Tossed Waves is a different kind of zombie novel, at least, very different from its prequel. Gabry was very different from Mary — while Mary was headstrong and dreamed big, Gabry was contented with where she was. She was afraid almost half the time. Mary acted with a purpose, while Gabry acted more out of impulse, out of need. Gabry was reactive, doing things because she had to, not because she wanted to, at least up until the last part. We also see a few characters from the previous novel and even visit Mary’s old village again. There are a lot of new additions in the world of the Unconsecrated/Mudo: a cult, Breakers, and Recruiters, and the Dark City, which I think we’ll see more of in the next book. We get a lot more answers in this book, too, although they weren’t that clear, it’s enough to give an idea why there were fenced villages and why Mary’s village was shut off on its own with the Sisterhood. This book kept me reading and guessing almost all the time. Just when I thought things were over, it’s not. I hated the part when Gabry comes to realize her feelings but then the guy (I’m not revealing who :P) is suddenly pulled from her grasp. My jaw was hanging open at that time! There was an overall depressing tone in this book’s prequel and this one is a lot better in terms of delivering hope in such a dire situation. It made me root for the protagonists more, and hope that they will come out of this alive and they will all see each other again.